The Redmi 3S Prime is a great budget phone from Xiaomi, part of its iconic Redmi lineups. The Redmi series could be considered the main USP of Xiaomi’s market in India. The phone is more than two years old, and during its time it was one of the most highly rated budget devices in the country. The 3S Prime had a smaller screen at 5-inches, whereas all the Redmi Note smartphones usually started at 5.5-inches. It also had a huge battery powering it, with a capacity of 4,000 mAH. This, coupled with low-powered octa SoC meant that the Redmi 3S actually lasted for more than two days on normal usage. The camera setup used in the Redmi 3S is the same we saw in the Redmi Note 3 series, giving it a 13 MP camera on the back plus a 5 MP camera on the front. This means that images clicked on the Redmi 3s will be very similar to those clicking on the Redmi Note 3. While the Redmi 3 was launched at a price of Rs 8,999, in today's market, it can be said that the phone will not be worth much. People looking for a Redmi phone are likely to have their eyes on the next generation Redmi device. In such a scenario, it makes sense to head over to Cashify and sell your old Redmi 3S Prime online for some quick cash. Cashify is a place to help you with that. 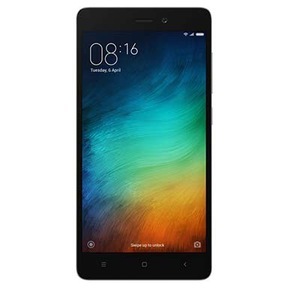 It is the best place to trade your old Redmi 3S for Cash online. Why Sell Your Old Redmi 3S Prime On Cashify? Cashify offers customers the best value for their old smartphone, thanks to its algorithmically driven, fair priced value generation systems. Cashify is in an exclusive exchange partnership with Xiaomi and is also the official exchange partner for Amazon and Flipkart. The process happens to be very straightforward as well. Just head over to Cashify’s website and type in the model of your phone. Based on certain questions about your second-hand phone’s quality, display and more, Cashify will generate a price quote that will be the best in the industry. Cashify officials will deliver this cash right at your doorstep so that there is no inconvenience you have to deal with. 2. Search for the Redmi 3S Prime, and share the condition of your device.